This Carefree Polish Stripper is a low foam emulsion floor stripper. It is a versatile product that can be use applied using either a mop and bucket or with help from a polishing machine. The Carefree Polish Stripper is an easy to use product that can cut stripping time by up to 50%. It can be used in both commercial and domestic premises and is available to buy as a single product or as part of a bulk buy option. This product will be despatched on FREE NEXT DAY delivery if ordered before 1:30pm Monday-Thursday. Professional results,effortlessly. It has never been easier to make hard floors shine. A Sebo Dart with UHs polisher is the perfect choice to maintain hard floors, making them easy to clean, longer lasting and giving them super gloss finish. No chemicals or water needed with this product. Natural Bourne Seal is a solvent based wood sealer. For interior floors and woodwork. Can be used to seal interior concrete floors. Protective seal for interior porous floors and woodwork. Heat, stain, oil and water resistant. Dries to a tough, slip retardant, glossy finish. 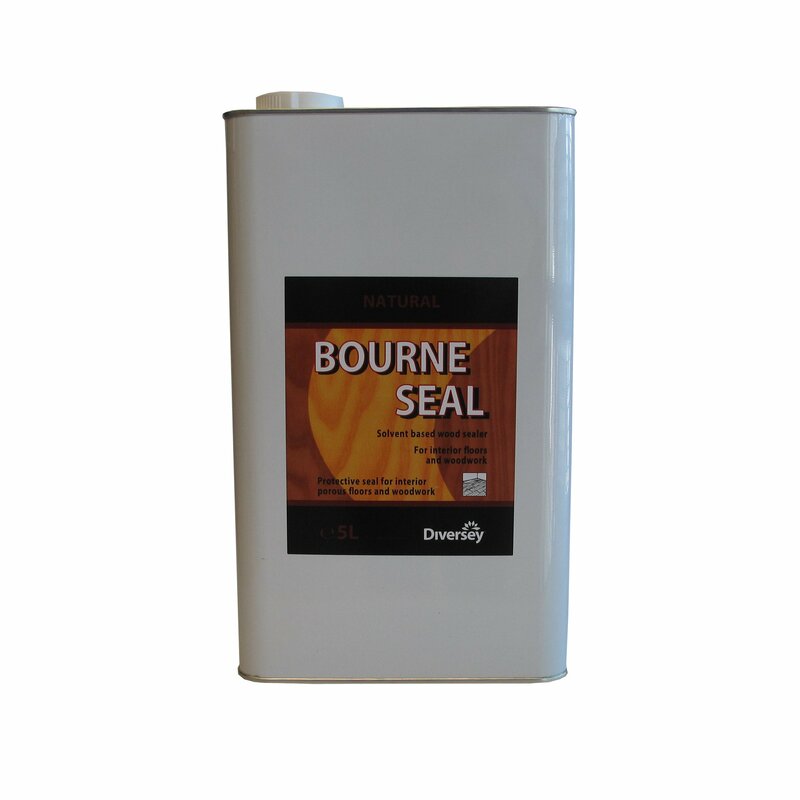 Bourne Seal is a penetrative seal and if any traces of water, oil or grease or previous coating are present, it may not key to the surface and drying time and performance could be affected. For optimum results surfaces should be sanded to a fine finish and all dust removed. If oil wax or alternative seals have been previously used the appropriate chemical stripper may also be required before application. Apply a little amount to a test area first. Concrete floors should be left to cure for at least 3 months before sealing. Once surface is prepared use a clean lambswool applicator or brush to apply a thin even coat well into surface, working with the grain, avoiding overlap. Allow to dry for a minimum of 8 hours, preferably 24 hours, then lightly rub down with fine sandpaper or a medium grade nylon pad. Remove surplus dust before applying second coat. Ventilate room and allow to dry and harden before use. Vacuum sweeping and damp mopping is recommended for ongoing maintenance. Coverage approx: 12sqm per 1 litre per coat. Q. I have 30m2 parquet floor to treat, will this be enough to do that? A. We are advised that one litre will cover 12m2 so a 5 litre container of this seal should be enough to treat your parquet floor.